The value-at-risk measurement methodology is a widely-used tool in financial market risk management. 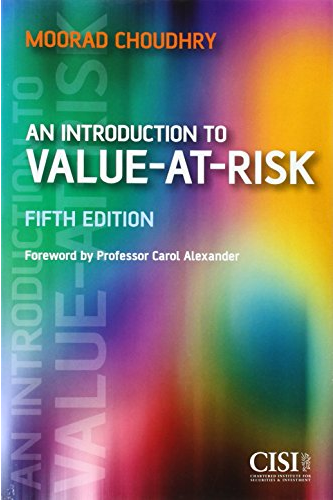 The fourth edition of Professor Moorad Choudhry's benchmark reference text An Introduction to Value-at-Risk offers an accessible and reader-friendly look at the concept of VaR and its different estimation methods, and is aimed specifically at newcomers to the market or those unfamiliar with modern risk management practices. The author capitalises on his experience in the financial markets to present this concise yet in-depth coverage of VaR, set in the context of risk management as a whole.